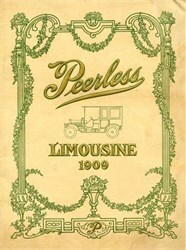 Beautifully printed Limousine brochure from the Peerless Motor Company issued in 1908. This historic document has 19 printed pages with 18 pictures as well as technical specifications. The brochure has some minor staining and several pages have been professionally reinforced. Anice early automotive piece of history. Peerless began at the turn of the last century by manufacturing clothes wringers, but immediately got into the making of autos. 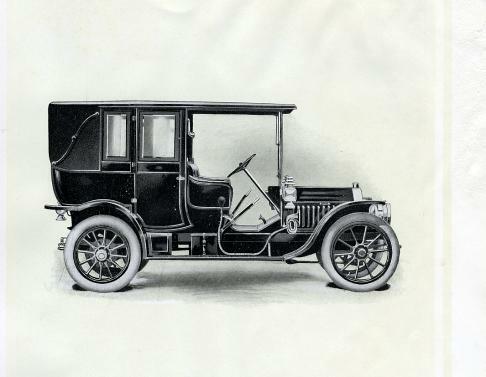 By 1904, the company was in the luxury car business. Peerless was one of the earliest automotive victims of the stock market crash of '28 and the last of them was delivered in June of 1931.